OLD PARKED CARS. 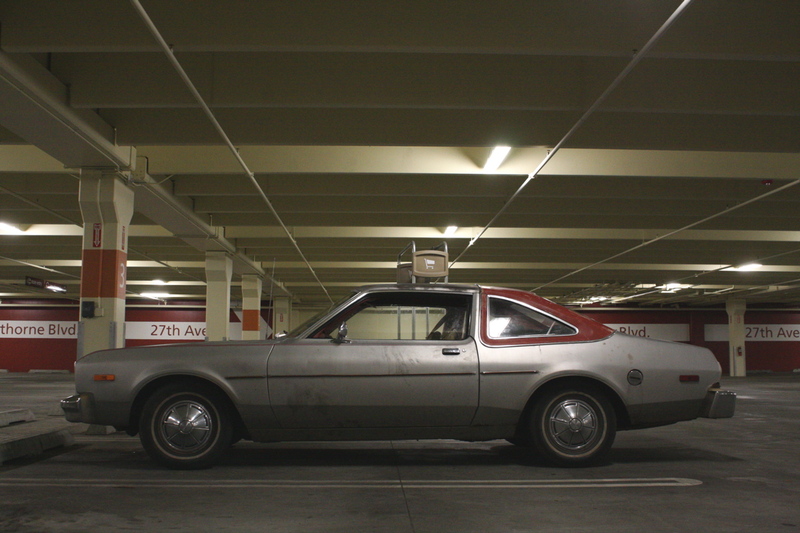 : 1978 Plymouth Volare. Looks like a scene from a Dennis Lehane- movie. Is that a hilux behind it? Those Volare's used to be everywhere when I was a kid. Nice to see one again. It's funny how similar all those mid-70s intermediates looked - the GM Colonnade cars and the Ford intermediates as well all had a very similar roofline with the fixed side glass and "fast" rear window. Great scene! It's actually a 1978 model. First year (of two) for that grille, and the only year for those taillights with the amber turn signals. The wheel covers are from an older Duster. thanks for the tip, spiff! i edited the post title. and yes, cash: that's my pickup. Wow, you guys seem to come across quite a few Malaise-era Chrysler products. These are great shots, particulary the profile view with the garage floor and walls echoing the colors of the car. My grandfather drove a "celery" green Volare wagon when I was a kid in the 80s. It lasted him quite a long time, though it was always being worked on. I still recall the smell the of the hot green vinyl seats during the summer. Happy to help, Tony! I was hoping that was your Hilux with its parking lights on. Just seems to fit, and I love the way you captured just enough of it. I keep returning to these pics. This car is so great, but it's the people that that make this series what it is. You captured a small piece of a much larger story. 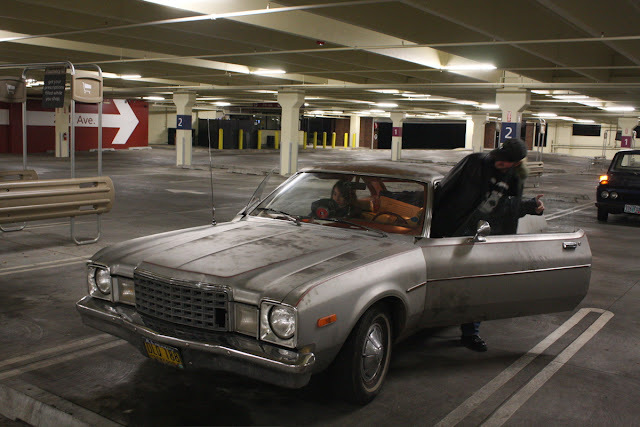 Empty parking garage, empty look on the woman's face, dimly lit grimy scene, beat up car with stuff on the dash. They are departing towards some destination only they know. This is awesome. There's a great story here that we'll never know. Excellent composition in these shots, and basically what Getafix said.....can't put it much better. 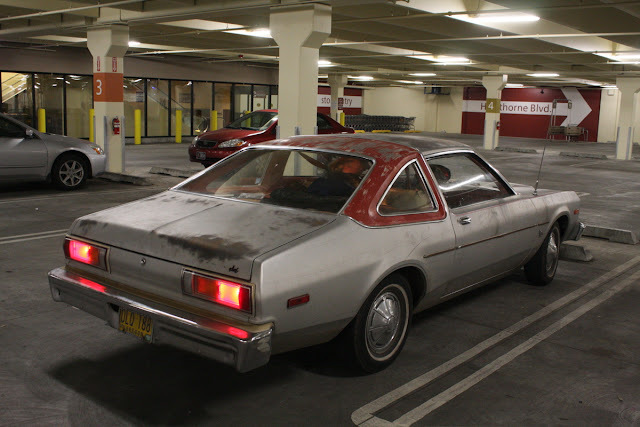 I am restoring a 1977 volare' premier coupe with factory manual sunroof. All volare' coupes are fast becoming rarer then any of the " true mopars" of the 60's & early 70's. Long live the F Bodies. All these comments are great! !